This chapter concentrates on the work of local authority leisure services departments. It begins by giving an impression of the national picture and social and economic factors, before considering the work of the local authority itself. 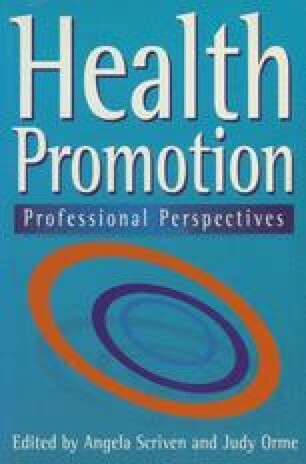 Some time will be spent considering the implications of compulsory competitive tendering (CCT), before looking at issues surrounding past and present collaborations between health promotion and leisure professionals.